Might seem an odd forum to ask, but was hoping to team up with another family to do a nanny share... if other family are climbers, I figured it might transition well into logistics for getting some mellow rock time sorted out too. Located in NE Seattle (Maple Leaf); small house but workable for nanny plus two blobs. Also willing to switch weeks etc. Not sure about schedule: hoping to only do 4, possibly 3 days of day care a week. We've hired nannies through care.com. Sittercity is another good spot. Services like Annies Nannies are $$$. You might post on Craigslist and see what comes back. Oh, and you might not want that image on your profile for services, though it is cute. That picture is pretty awesome. 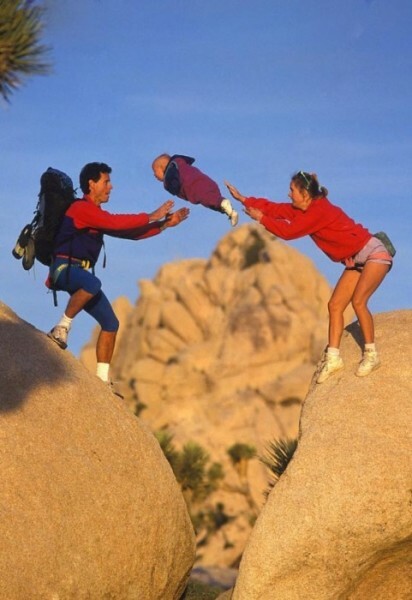 Nothing like a J-tree midget toss to get the blood flowing.